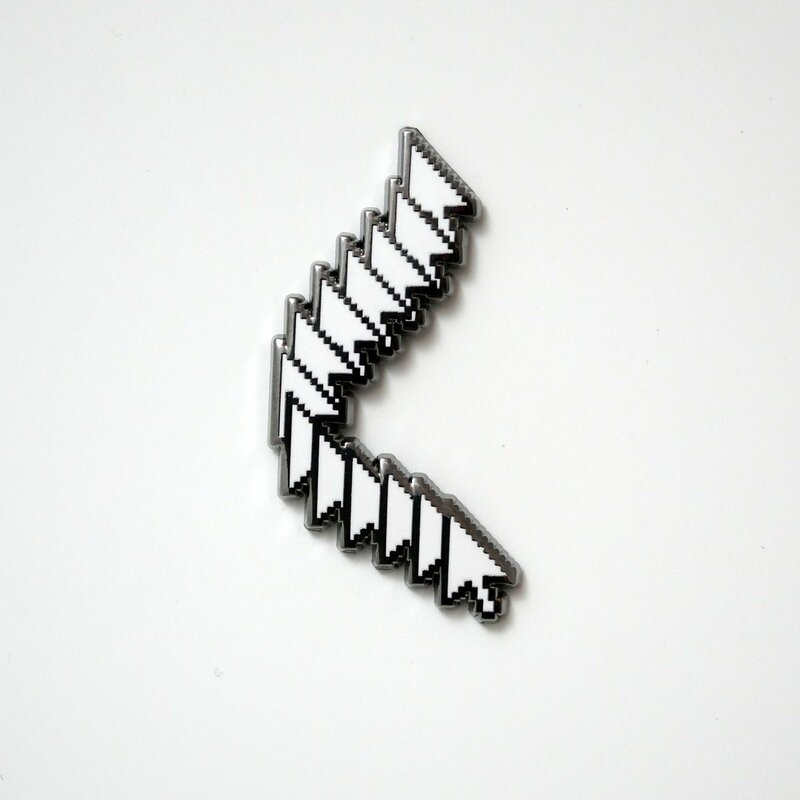 Studio Cult, creator of the internet-famous MS Paint enamel pin has added a new geeky, frozen arrow pin to their growing collection. The frozen arrow pointer pin will definitely look familiar to any Windows user. Right before your PC crashes you’ll sometimes be able to create a swirly trail of mouse pointers when you try and move your mouse.